The Housing Partnership assists developers in the creation of affordable rental units throughout New York City. Below is a selection of some of our past rental developments that exemplify the work we do. Queens Borough President Melinda Katz is fond of saying that the world comes to Queens. Certainly development is making its way to southeast Queens, to Jamaica, as the Housing Partnership is pleased to serve as the nonprofit partner on its third transaction in Jamaica, this time with Artimus Construction. 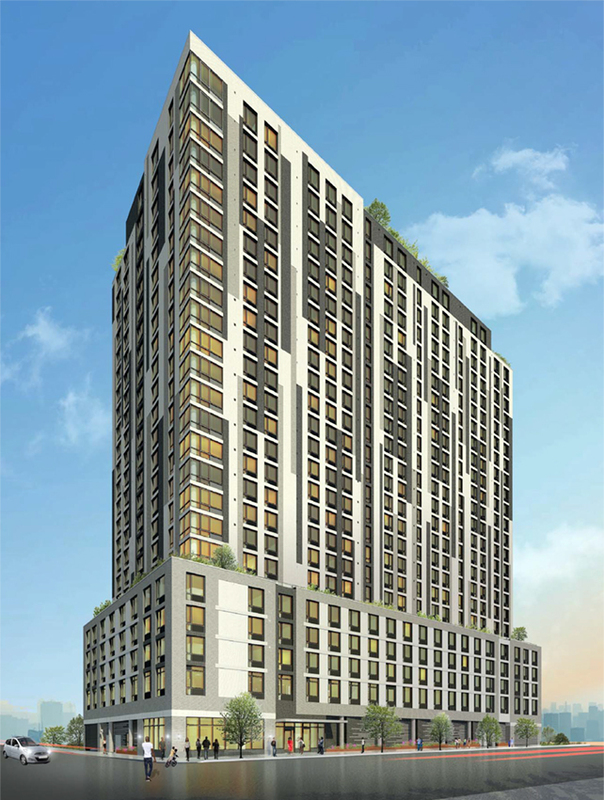 Artimus is constructing a new rental tower at 147-20 94th Avenue, where it will build an apartment building with 380 residential units. The project site is located on 94th Avenue, between Sutphin Boulevard and 148th Street in Jamaica Queens. Construction will begin later this year on a new mixed-income 25-story high-rise tower of 345,000 square feet. The project will also contain 100+ parking spaces on the ground floor and many amenities including lounge, children’s play room, fitness center, courtyard, laundry, tenant storage, and rooftop access. The project will be financed through HPD Subsidy and HDC bonds/subsidy. All the units will be affordable to households earning between 60% to 150% of Area Median Income (AMI). GF55 Partners will be responsible for the design. The city rezoned downtown Jamaica in 2007, just before the recession swept away development prospects and funding that might have improved the neighborhood’s streets and schools. The project will be a huge boon for this area, which is still fairly industrial. Jamaica is one of the most affordable corners of Queens, and more units here will mean more reasonably priced apartments for working and middle-class families. The 25,000-square-foot development site is only minutes from the Jamaica train LIRR station and subway. In 2012, the Housing Partnership was approached by the New York City Department of Housing Preservation and Development (“HPD”), the New York City Housing Development Corporation (“HDC”) and the New York State Attorney General’s Office (“AG”), to play a unique role in addressing the problematic ownership of the DCA Brooklyn portfolio, a 27-building, 216 unit scattered-site Mitchell-Lama property located in the Brownsville, Crown Heights and Bedford-Stuyvesant neighborhoods of central Brooklyn. The project was constructed in 1971 and was owned by a nonprofit housing company that became defunct over the ensuing four decades. With the cooperation of HPD, HDC, and the Housing Partnership, the AG judicially dissolved the defunct owner and obtained a court order authorizing conveyance of the project to a Housing Partnership affiliate, whose interim ownership of the property allowed the project to be stabilized and subsequently sold to responsible owners. Omni New York, the holder of a long-term ground lease on the project, is a real estate development company founded by former baseball player Maurice “Mo” Vaughn and Eugene Schneur for the purpose of bringing revitalization and development to various neighborhoods in New York and other states. As such Omni was a prime contender for ultimate ownership of DCA. Following review and approval of the transaction by the AG and the Supreme Court, the Housing Partnership sold its interest in the project to Omni. The project was financed by HDC and HPD. HDC provided financing through the issuance of tax-exempt bonds and a low-interest mortgage loan. HPD provided an additional low interest mortgage through its Neighborhood Stabilization Program. The project was contingent upon HUD’s approval and a regulatory agreement keeping the units affordable. In addition, all of the buildings received much needed rehabilitation in the amount of almost $12 million. The scope of work included renovating the hallways, installing new roofs and building entrance doors, and replacing and upgrading building mechanics including installing modular condensing steam boilers in each building. Additionally, in-unit improvements included the installation of new floors, painting, windows, entry and closet doors, kitchen cabinets, energy star appliances, countertops, fixtures, bathroom vanities, sinks, faucets, bath tubs and tiles. The security system at the property was also completely overhauled with the installation new surveillance cameras. The Housing Partnership is pleased to have played a role in keeping the DCA project affordable. We continue to explore opportunities to bring other projects throughout New York City with complex or problematic pasts, into responsible and compliant ownership – one of many ways the Housing Partnership assists in creating and preserving affordable housing. Norwood Garden Apartments is a proposed residential development located at 3084 Webster Avenue, in the Mosholu/Norwood section of The Bronx. The project is a development by Stagg Group, a builder/developer who has developed over 2500 units of housing in the Bronx and Lower Westchester. Best Development is a development consultant on the project and the Housing Partnership is the nonprofit partner. Design is being completed by Badaly Architects PLLC. As builder/developer, Stagg Group will serve as general contractor. Stagg Group developing this site using the Mixed Income Program. HPD’s Mixed Income Program (aka the Mix & Match Program) funds the new construction of mixed income multi-family rental projects affordable to households earning up to 165% of Area Median Income (AMI). When completed, Norwood Garden Apartments will consist of approximately 116 residential units. Fifty percent of the units will be targeted to families earning up to 60% of Area Median Income (AMI). The other fifty percent will be targeted, to families earning 80% of AMI, 90% of AMI and 100% of AMI. Of these units approximately 30% will be at 80% AMI rents, 10% at 90% AMI rents and 10% at 100% AMI rents. In addition, the project will include 4,593 square feet of ground floor retail space, 27 parking spaces, laundry room, 69 spaces of bicycle storage and an outdoor recreation area on the second floor. The proposed development is in the new R7-D Zone created as part of the Webster Avenue Vision Plan. Norwood Gardens’ 116 units will be well served by bus service along Webster Avenue. It will be a short walk to the Norwood/205th St. “D” subway station, and close to the Botanical Garden and Williamsbridge stations of the Metro North Harlem Line. This site overlooks Bronx Park, the Allerton Ballfields, part of the Bronx Greenway and the Bronx River. In 2012, the National Parks Service designated the Bronx portion of the Bronx River as a National Water Trail in recognition of its amazing restoration as a natural and recreational asset. 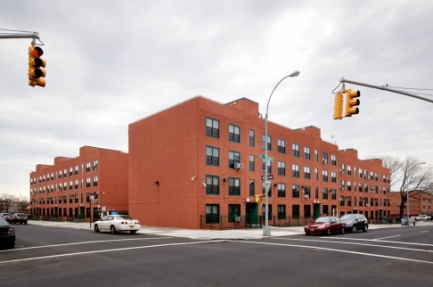 The Housing Partnership was proud to have served as the nonprofit partner of Fairstead Capital’s acquisition of Savoy Park, once a financially distressed housing development located in Central Harlem. The project closed at the end of June 2017. Fairstead is maintaining the prior ownership’s collaboration with local housing agencies and local elected officials. The collaboration will implement a preservation transaction that provides significant fresh capital to stabilize the project and will bring all the units back into stabilization through an Article XI regulatory agreement with the city to ensure long-term affordability. The transaction will preserve a formerly at-risk, overleveraged rent stabilized asset; a significant victory for current tenants and local housing officials. 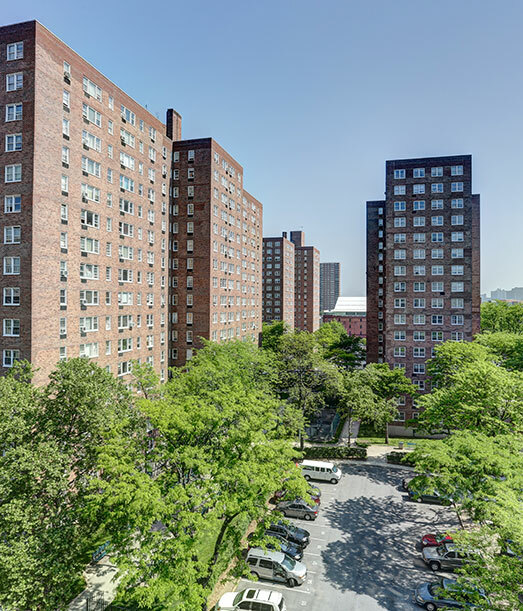 The Savoy Park Apartments, originally known as Delano Village, are located between 139th and 142nd Streets and Fifth and Lenox Avenues in Central Harlem. The project is a rent stabilized residential complex constructed in 1959 and composed of seven 16-story buildings with 1,802 units. Savoy Park Owners LLC, a partnership between Vantage Properties and Apollo Real Estate Advisors, purchased the asset in March 2006 from the Axelrod Family, the original developers of the property. Savoy Park Owners LLC defaulted in December 2009 on the mezzanine loan. The default triggered a series of restructurings that ultimately resulted in a subsequent default on the senior loan. 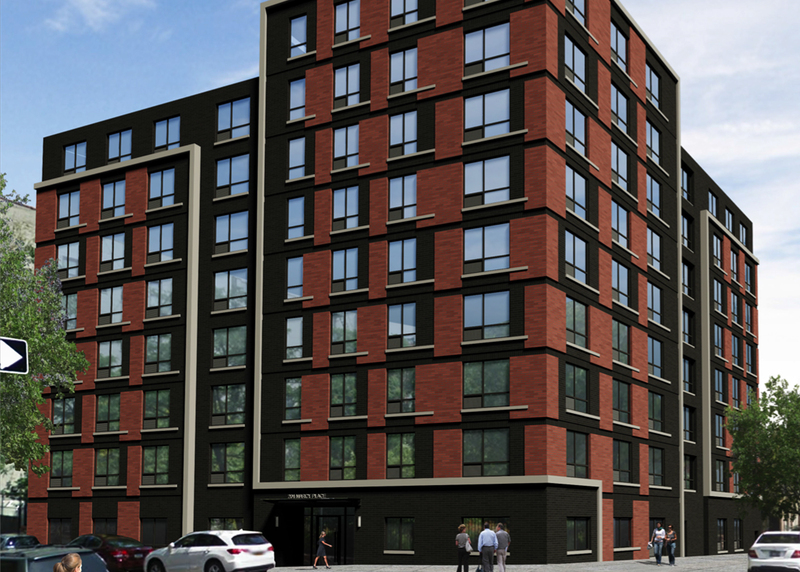 Marcy Sheridan Apartments will be a newly constructed nine-story, 74-unit elevator building located on privately owned vacant land in the East Concourse neighborhood of Bronx. The project will be a mix of supportive housing and affordable housing for low-income families. The building will feature on-site social services offices, a community room, a computer room and library, an outdoor garden, patio and children’s play area. The development site is vacant land located on the corner of Marcy Place and Sheridan Avenue, a residential area one block from the Grand Concourse and two blocks from the 170th Street B and D subway station. The project will serve two populations: There will be an estimated 37 studio apartments targeted to single adults living with HIV/AIDS and referred by the NYC Human Resources Administration (HRA). The project will be the first project completed under NYS Housing and Community Renewal’s Mixed-Income Pilot Program, an initiative that uses income-averaging and cross-subsidization to provide affordable housing for both low-income and moderate-income households. Marcy Sheridan Apartments will serve households at up to 50%, 60%, and 85% AMI, while also including supportive housing for adults with special needs. Services for the UnderServed provides 24-7 front desk services as well as supportive services from a first-floor office suite. Amenities include a community room with a kitchen, a computer room/library, an exercise room, and a rear garden and children’s play area. The building incorporates extensive high-performance and energy-efficient components including solar panels. Capital financing for the project is expected to come from two sources: Low Income Housing Credit and State Low Income Housing Credit equity, to be used as both construction and permanent financing. SLCE Architects is the architect and D.P. Group General Contractors will be the general contractor for the project.